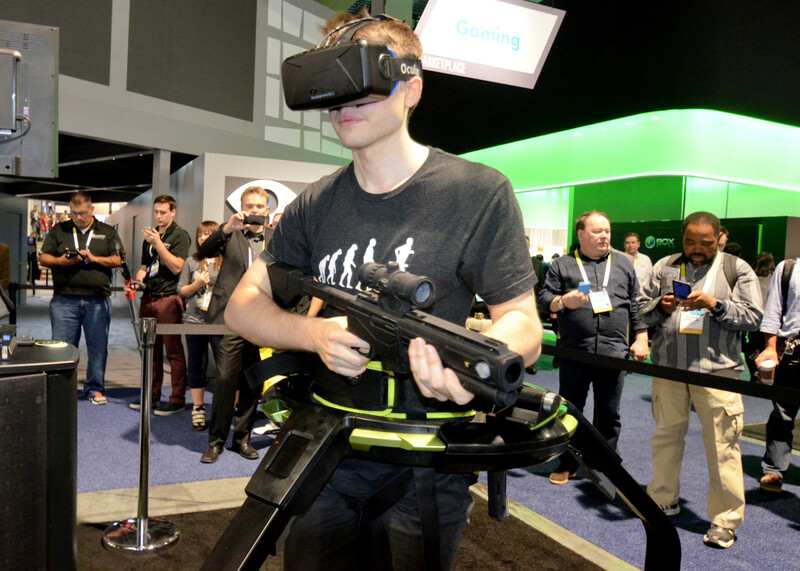 Virtuix are back at CES once again, and this time they’re getting all competitive as they prepare to hold they’re first multiplayer VR eSports tournament using the Omni VR treadmill, in their new made-for-Omni title, Omni Arena. 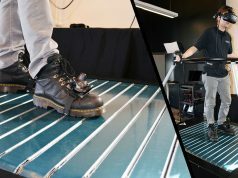 Virtuix have spent 2015 ramping up production and shipping of their ‘Pathfinder’ edition Kickstarter backer and pre-order financed Omnidirectional treadmills. 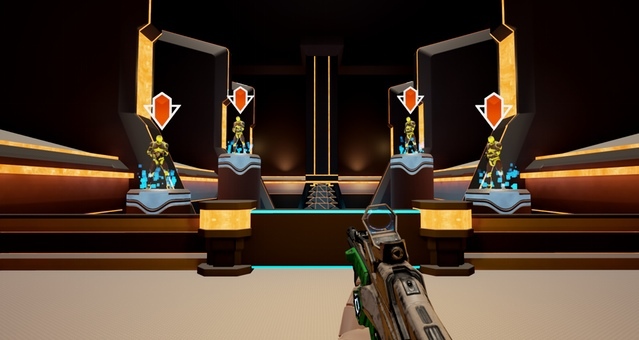 This year, as well as bringing four Omni treadmills with them for us at the show, they’re planning to hold what the company is calling the first VR eSports tournament, to take place on the show floor inside their latest made-for-VR-and-Omni title Omni Arena. 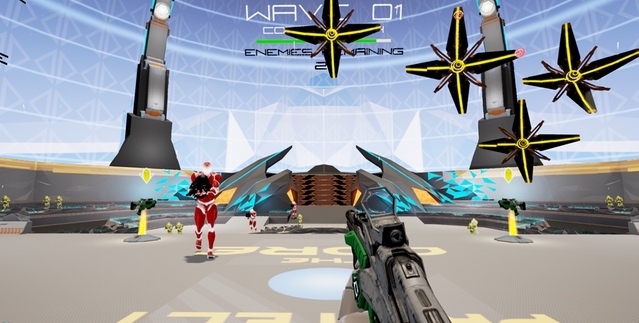 The title is a brightly coloured, VR-enabled first person shooter sporting two game modes at CES. Co-Op mode, two players work together to defend a central core that is attacked by a series of enemies. 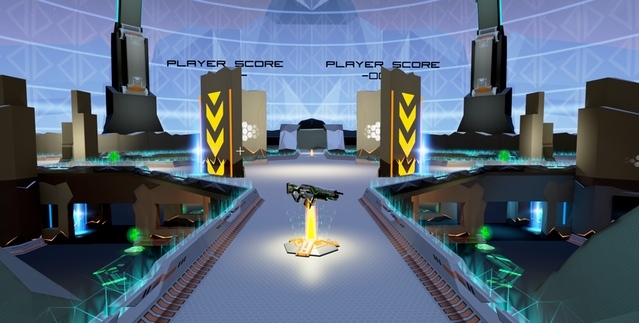 Whilst in “Hard Point”, players compete to achieve the highest score by defending a hard point in the Arena while trying to shoot each other. 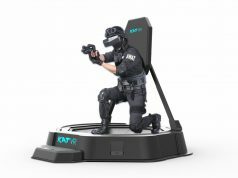 Virtuix are official HTC partners at CES 2016 and will be demonstrating the latest Vive developer kit ‘Pre’ on the show floor. 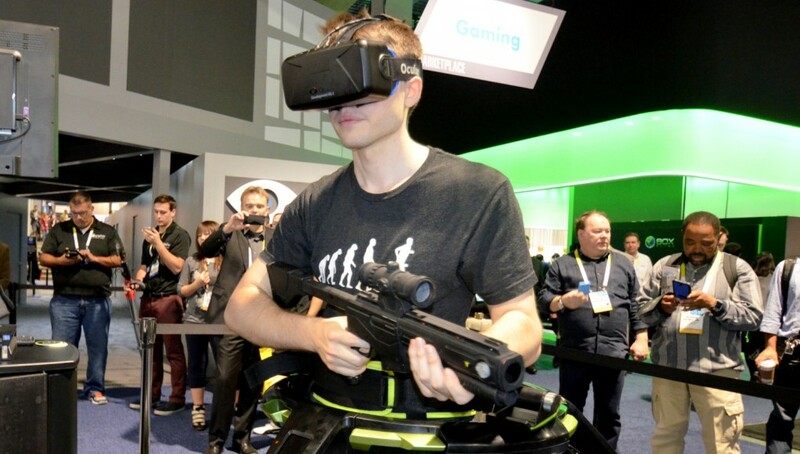 Although it’s not clear if the eSports tournament will use Vive’s exclusively. 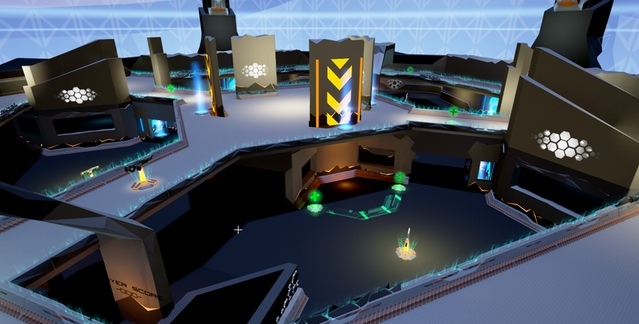 Road to VR will be going hands-on with the new Omni Arena on the CES show floor soon. Check back for our impressions. 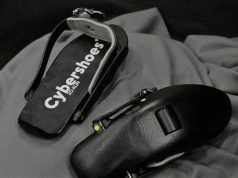 Actually – it wasn’t the first VR eSports event. Plus it was closed to chosen (in-house) contestants. Really the 1st one took place in Shanghai on 31.12.2015, it was a team play and had 300 contestants internationally.